There are two types of item cost which can be found at the BMO inventory system which are fix cost and average cost. An inventory is sold throughout the year and the prices of new stocks varies as the market price fluctuates. Therefore the average cost of your entire inventory will also change. Average cost arrives by dividing your total cost of your entire inventory of a certain item group then divide by their total cost. So the settings really depends on your company’s practice which is First In, First Out, or Last In, First Out. 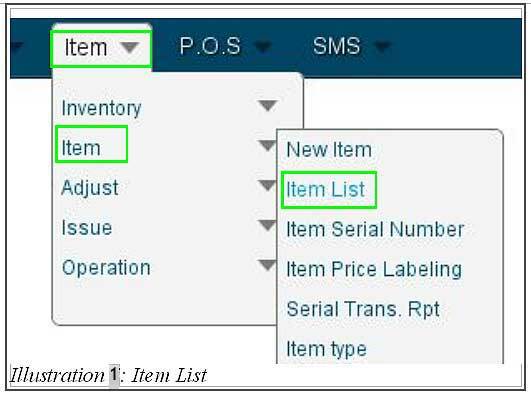 In this tutorial, we will guide you on how to set the type of item cost in BMO system. 2. You will be redirected to a new page that displays item list. From here, click on price as illustrated in the illustration below. 3. After the price has been clicked, click on either New Price or Edit as shown in the illustration below. 4. You are now in the Attach Price and Location page. 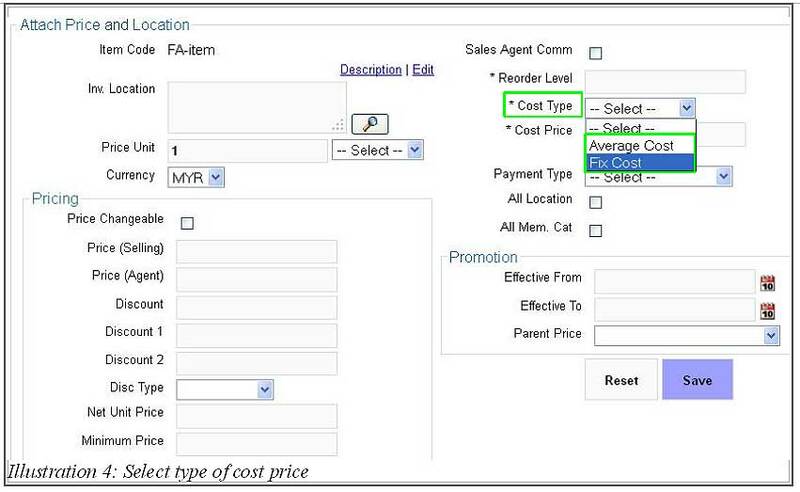 From here, you are able to select the type of cost (depending on your company). Save the settings by clicking on Save button to save your selection.